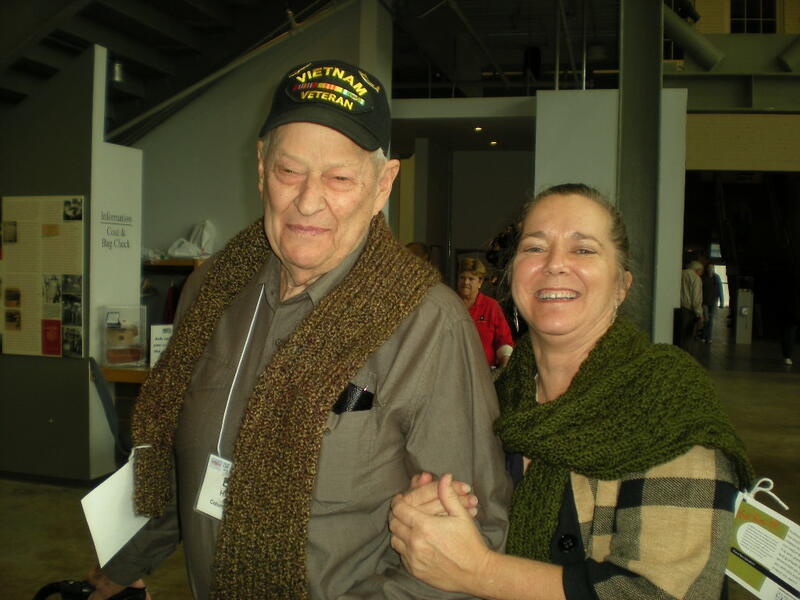 The Museum’s Knit Your Bit program—for which 10,000 volunteer knitters and crocheters across the country have produced 50,000 scarves for veterans’ centers, hospitals and service organizations—celebrates its 10th anniversary with a knit-in from 10:00 a.m. to 2:00 p.m. Saturday, September 17, in US Freedom Pavilion: The Boeing Center. 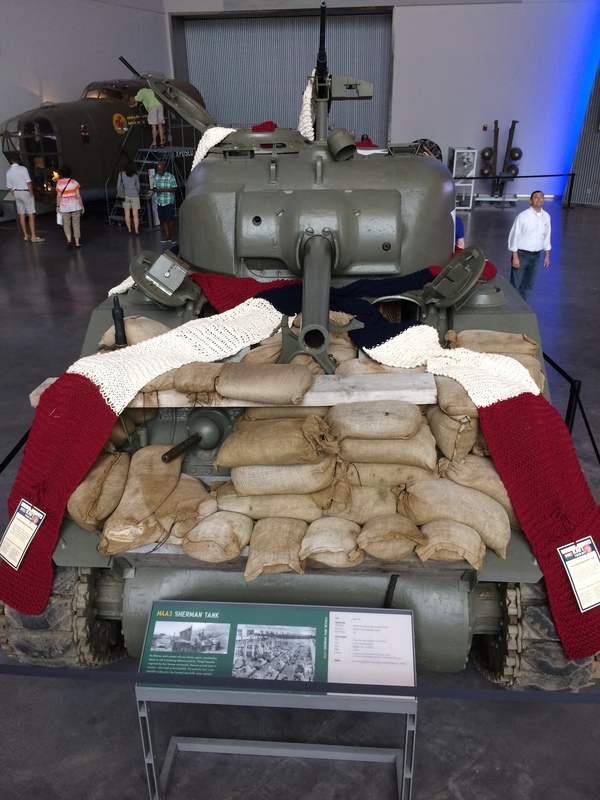 For navigation help finding the knit-in, look for the Sherman tank wrapped in a giant scarf. The connection with veterans is one of the program’s appeals for Elizabeth Done, a New Orleans-based stalwart of the Knit Your Bit program. In addition to the live knitting action and giant-scarf-wrapped tank, the September 17 knit-in will also feature local students distributing program-produced scarves to veterans. Local Veterans Affairs representatives will also be on-site and available for questions. 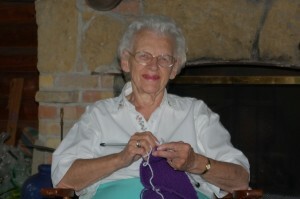 Shirley Sentgerath of Fennville, Michigan, has contributed an estimated 700 pieces to the program. In addition to her passion for knitting, Sentgerath’s motivation for her heroic Knit Your Bit efforts is rooted in many family ties to the military. Her husband, John, is a Korean War-era veteran of the US Navy. The Sentgeraths have been Museum members since 2010, and visit annually while wintering on Alabama’s Gulf Coast. “There are a lot of things in the Museum that are absolutely outstanding,” John Sentgerath said. Including Knit Your Bit, now rolling toward its second decade. To keep up with the latest Knit Your Bit news, join the Museum’s Facebook group. 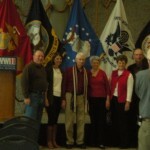 For more information about the national Knit Your Bit program, contact Adam Foreman at knitting@nationalww2museum.org. During World War II you might have had a friend ask you to help the soldiers out by picking up your needles and yarn and knitting your bit. The Red Cross popularized the slogan as early as World War I and then revived it with propaganda, leaflets and campaigns to get people to knit for soldiers. 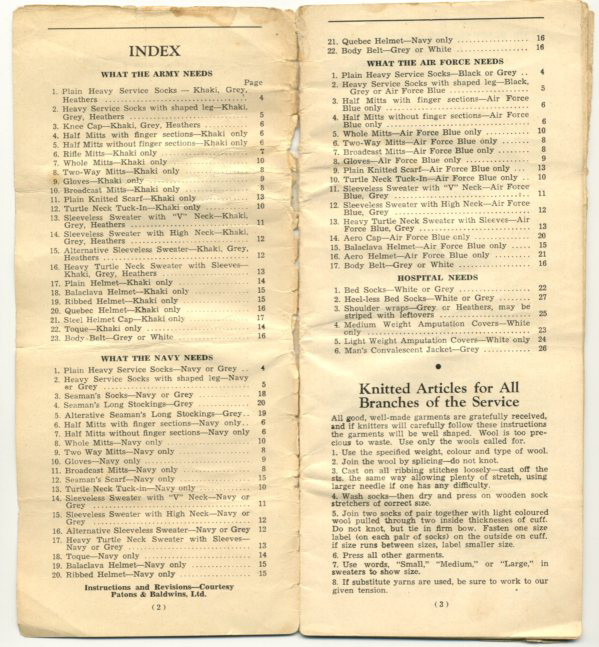 On the Home Front during World War II, knitting served as one more way Americans could support the war effort. 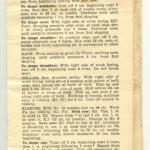 The November 24, 1941, cover story of the popular weekly magazine Life explained “How To Knit.” Along with basic instructions and a pattern for a simple knitted vest, the article advised, “To the great American question ‘What can I do to help the war effort?’ the commonest answer yet found is ‘Knit.’” Thousands of Americans picked up their needles to knit socks, mufflers and sweaters to keep American soldiers warm and provide them with a handcrafted reminder of home. 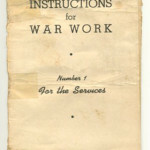 Knitting Instructions for War Work * Number 1 For the Services. 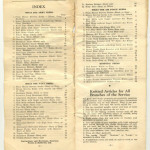 Issued by the Canadian Red Cross Society, November 1940. From the Education Collection at The National WWII Museum. 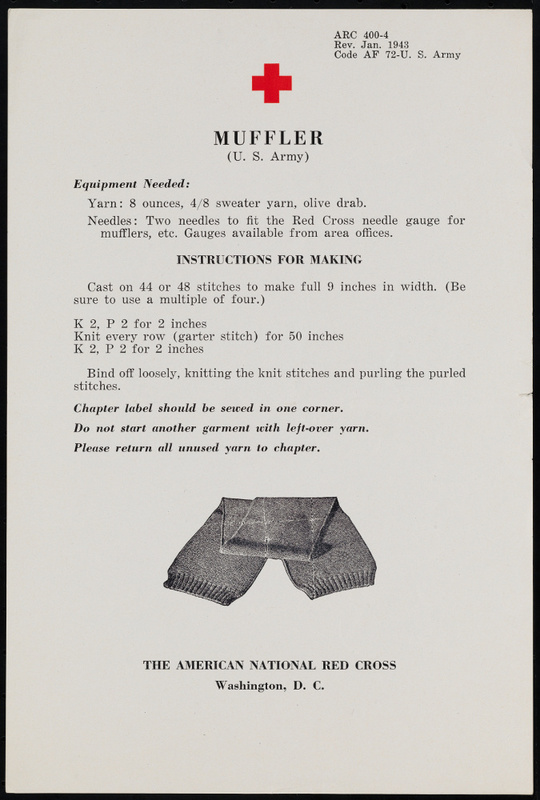 The Red Cross supplied patterns for sweaters, socks, mufflers, fingerless mitts (which allowed soldiers to keep their hands warm while shooting), toe covers (for use with a cast), stump covers and other garments. Cold, wet, sore feet were the enemy as surely as German or Japanese troops. “The Navy needs men, but it also needs knitters,” newspapers cried. After the war, some knitters dropped their needles for good. Others kept on knitting throughout their lives in a wide variety of colors — any color, many swore, but Army-issued khaki or olive drab! Today knitting is popular once again and many enjoy the process of creating something useful. Luckily, the spirit of sharing is alive and well too. The Museum has been fortunate enough to be the receiving ground for a great civic service project for the past 8 years, running our own “Knit Your Bit” campaign, so you can send in your hand-made scarves to be distributed to veterans around the country. Learn more about how you can Knit Your Bit. Join us for a Knit-in and keep that generous knitting spirit alive while thanking our veterans. 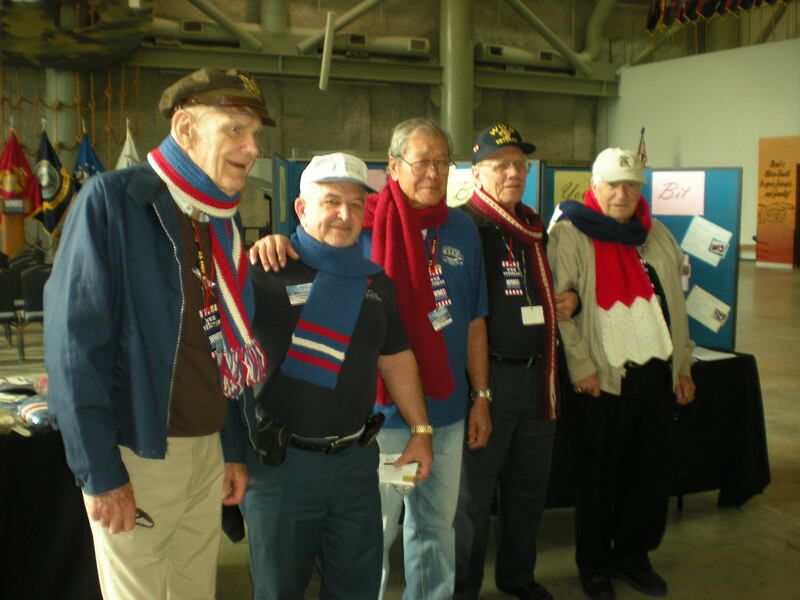 This group was visiting the museum from out of state and all went back north with scarves to keep them warm. 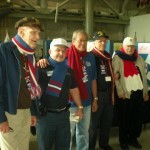 These veterans chose scarves that one of our knitters had just finished and brought with her to the knit-in! 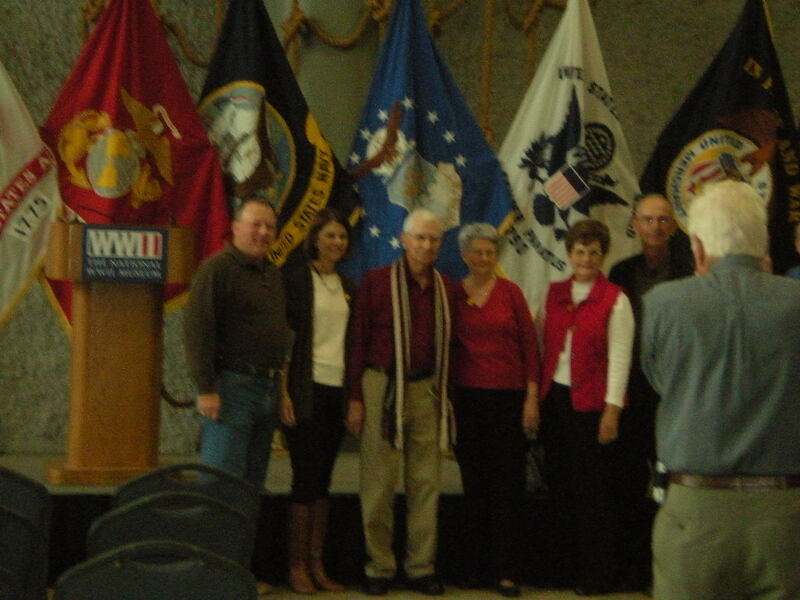 This veteran proudly wears his scarf and gets a picture snapped with his family in front of the service flags. 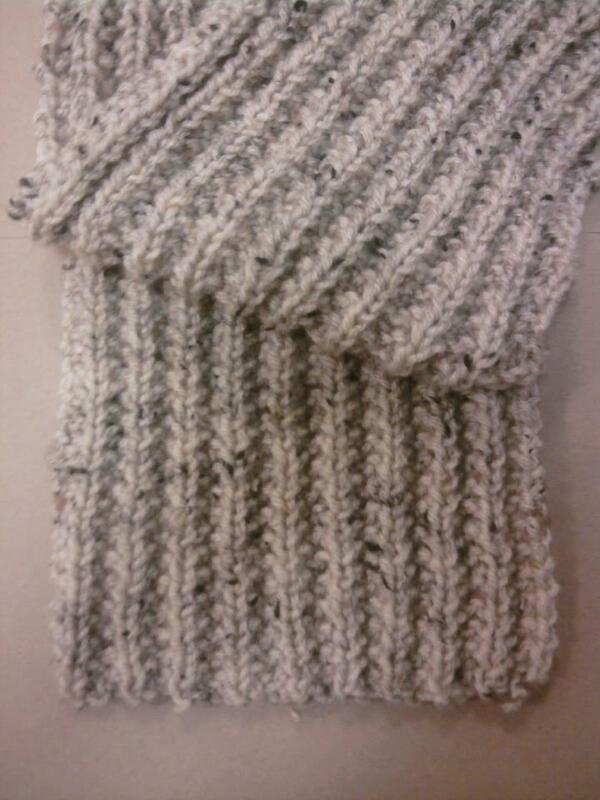 The next Knit-in at the Museum is scheduled for Saturday, December 17th from noon-four. Any knitter or crocheter who can make it to the Museum that day is welcome to join us. We plan to hand out more scarves to veterans to again say thanks and happy holidays! Posted by Lauren Handley, Education Programs Coordinator. 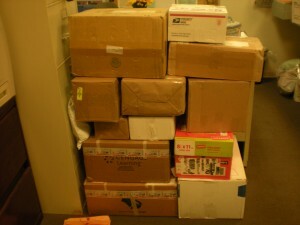 Knit Your Bit keeps the mailroom busy with packages from knitters and crocheters all over. Knit Your Bit Enters Year Six! I’m very pleased to announce the release of The National WWII Museum’s Knit Your Bit program’s new pattern. 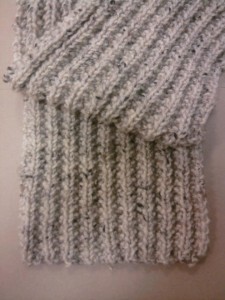 I think you’ll find the pattern to be super easy and the veteran who receives your scarf will find it super cozy. 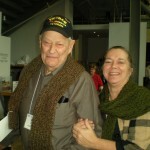 For those of you who may not be aware of Knit Your Bit, let me share the story: In 2006 we lauched the program calling on knitters throughout the country to send in scarves that we would then donate to veterans nationwide. The inspiration for the program came from knitting campaigns during World War II where people would get together and knit for soldiers. We hoped for 100, and now 15,000 scarves later, we have built relationships with knitters, knitting groups, veterans and veterans centers throughout the country who share the giving spirit and exchange kind words and deeds with strangers. 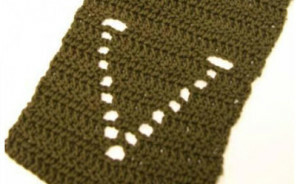 Veterans are eager to receive scarves, so if you knit or know someone who does, please visit the Knit Your Bit page for this year’s as well as previous patterns. We’ve created crochet versions as well. So pick whatever pattern makes you smile and knit a scarf for a veteran! View the newest pattern and check out all of our previous patterns, as well as the latest Knit Your Bit news.